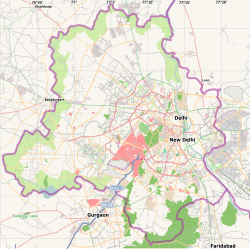 Preet Vihar is an upscale residential colony in East Delhi, India. It is situated on Vikas Marg. It also has a well known commercial complex near the Preet vihar Metro station on Vikas Marg. Preet Vihar is an upscale residential area in East Delhi District of Delhi. It is a well established colony in the eastern part of Delhi, minutes away from Connaught Place, considered the heart of Delhi. The area is known for Shiv Mandir, the shops and educational institutes located here. The main road of Preet Vihar caters to most of Banks and Top Jewellery Brands.It has residential buildings that offers very good accommodation. Preet Vihar includes Block A-G, Nirman Vihar, Bharti Artists' Colony and Madhuban Enclave. Outlets of all well known brands are situated here with a variety of fashion collection on display. Innumerable restaurants and food joints dot the area. Crowded with a number of small and big shops, big mall,this place is considered one of the best commercial and residential hubs in Delhi. There are seven blocks in Preet Vihar, namely A-G and 'G' Block is the largest one with around 365-370 homes. There are many popular landmarks in and around Preet Vihar such as Karkardooma District Court, PSK (Poorva Sanskrti Kendra), Scope Tower, Gufa Wala Mandir (temple), Digambar Jain Mandir, Mahavir Swami Jain Mandir, Park End Masjid, V3S Mall, Metro Station, NIIT Center, Mahindra First Choice Showroom and others. There are also popular landmarks in and around Preet Vihar such as Metro Hospital and Cancer Institute. Preet Vihar is also home to a branch of Domino's Pizza, Nirula's, Bikanervala, Bercos, Th Salt Cafe and many more eating joints. There are many institutes (coaching centres, Language institutes, computer institutes etc.) in the locality. These include Career Launcher, Achievers Point, NIIT, Aptech, Guitarmonk, Ftech and others. The Central Board of Secondary Education (CBSE) building is an important landmark in Preet Vihar and there are well known schools located here serving the community residing in this suburb area of Delhi on the other side of Yamnua river. Anand Vihar Inter State Bus terminal (ISBT) is the nearest Bus Depot with it being at a distance of approximately 4 km (2.5 mi). The nearest metro station is Preet Vihar Station itself. which connects to various other parts of Delhi. This page was last edited on 21 April 2019, at 07:24 (UTC).